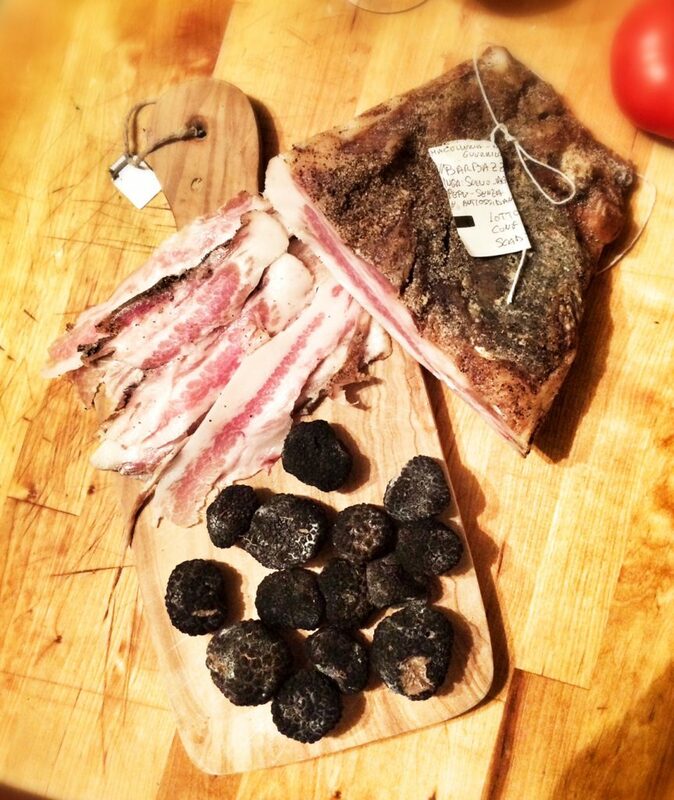 Alliteration aside, Piedmont, a region in northwest Italy, deserves much more than a pit stop. There is great food, great wine, outdoor activities and incredible scenery. Much of Piedmont’s terrain has the characteristics of the rolling, wooded hills of Umbria, combined with the ubiquitous vineyards of Tuscany. However, in contrast, the most northwestern part of Piedmont is mountainous and home to some of Italy’s most popular ski resorts. But Umbria was our ultimate destination and our goal was to leave London Thursday afternoon and arrive by Friday evening, leaving enough time to shop Saturday for our Easter Sunday feast, but little time to explore along the way. It was me, my wife Catherine and our three sons (2, 3 and 8 years old) https://driving-dad.com/about/ packed into the car for one of our longest road trips yet. The journey ahead of us was approximately 17 hours of driving time and 1,700 kilometres. Sound tempting? Barring necessary (and I do mean necessary) bathroom breaks, uncontained car sickness or fuel shortage, we tend to drive in 5 to 6 hour legs. Our first leg was from London to Burgundy (approximately 7 hours including the Eurotunnel crossing ) where we would overnight. We were then planning to drive the remaining 10 hours on Friday with a leisurely stop for lunch in Barbaresco. The first leg of the journey and our overnight in Burgundy was uneventful. Early Friday morning we loaded up with food from the local farmer’s market for breakfast on the go – pains au chocolat, baguettes and local cheese – and were on our way. 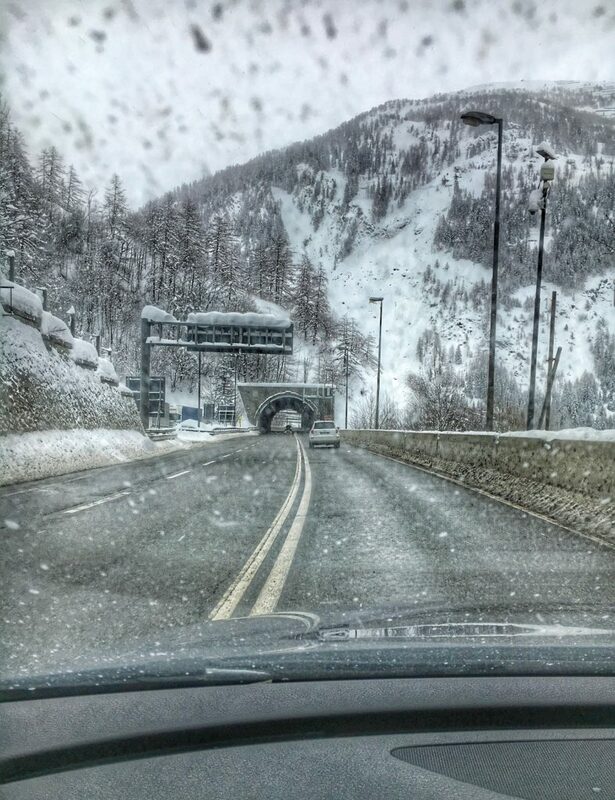 We crossed from France into Italy through the Frejus tunnel around mid-morning; the snow covered mountains offering a dramatic welcome to this part of Piedmont. We passed the exit for the ski resort of Bardonecchia, which hosted the snowboarding events at the 2006 Winter Olympics and was the site of one of the Olympic villages. In addition to skiing and other winter sports, this area of Piedmont, and the Val di Susa in particular, is popular in summer because of its scenic hiking trails…at least that’s what I had been told. Driving Dad is not Hiking Dad mainly because any extended walk inevitably involves me carrying at least one of our sons and more whining than even the most tolerant father (not me) can handle. Thus, I contentedly admired the passing scenery from behind the wheel. Two hours down the motorway and just as the early warning signs of a meltdown were appearing amongst the kids, the sugar rush from the last of the pains au chocolat was fading and the ipads were running out of battery, we made it to the village of Barbaresco. 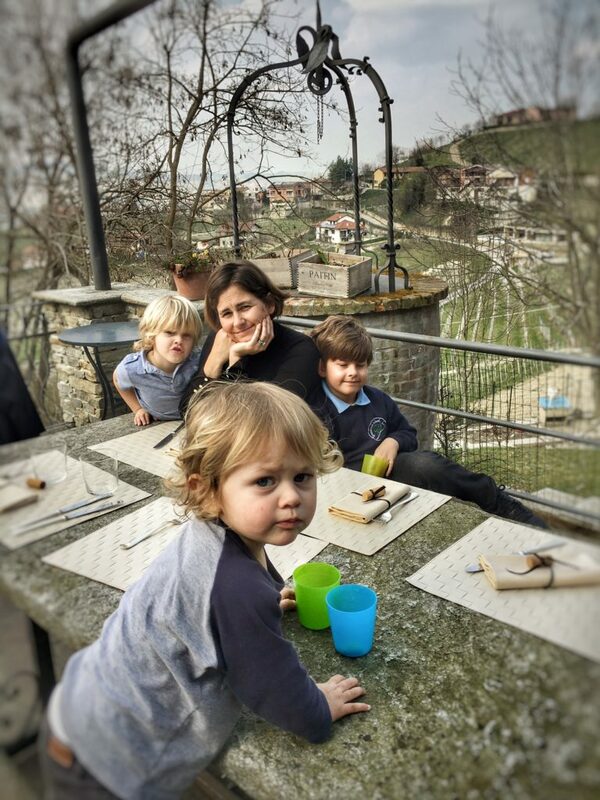 I had chosen Barbaresco because I knew the kids would appreciate the history of the town because there is wine there. And not just any wine, but very good wine. Barbaresco, still slightly less famous than it’s more popular neighbour Barolo, is one of the top Italian wines (it received its DOCG (denominazione di origine controllata e garantita) status in 1980) and “coincidentally” one of my favourites. For the previous two hours, I had spoken glowingly about the town, the vineyards and the food, to a captive audience that clearly lacked my enthusiasm or, indeed, any interest whatsoever. However, I managed to entice the kids out of the car with promises of extra-large gelatos to anyone who didn’t complain for the following 30 minutes. The first stop was Cantina Boffa, conveniently located a five minute walk from where we parked. I would like to say I chose this place after extensive internet research and cross comparison to other nearby wineries, but in truth it was the first winery we passed. Typically, I would explore a new town a bit more before choosing the most appealing eating or drinking venue, but after a 5.5 hour drive I would have gladly stopped for a tasting of Boone’s Farm. “Would you like to taste the Barbaresco, the Barbera D’Alba or the Dolcetta D’Alba” asked our waiter after seating us. “Yes” I replied, dramatically handing the car keys to Catherine. As it turned out, Cantina Boffa was a great location with impressive wine. Two hours before we were surrounded by snowy mountains and here we were sitting outside in just our sweaters, enjoying wine, cheese and sweeping views over the vineyards below us. The kids unleashed 5 hours of pent up energy by scootering up and down the somewhat steep driveway leading to the cantina. Kids happy, parents happy. Rejuvenated by the wine tasting and a moment of relative peace, it was time to eat. I had actually done some research on restaurants and decided on Ristorante Rabaya , just outside of the old town. Upon arrival it was not only open, but they had one last outdoor table available. 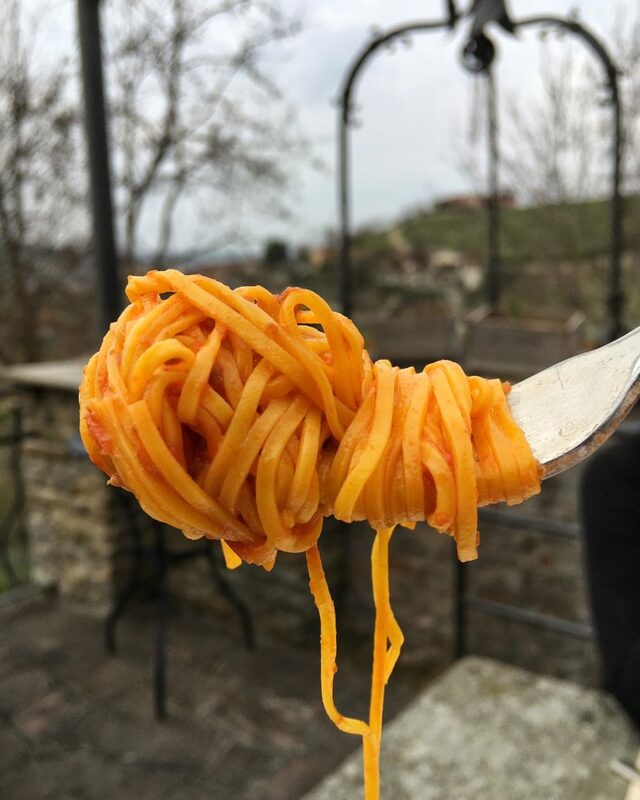 Now Italy is one place I don’t worry about my kids eating….who doesn’t love pasta. 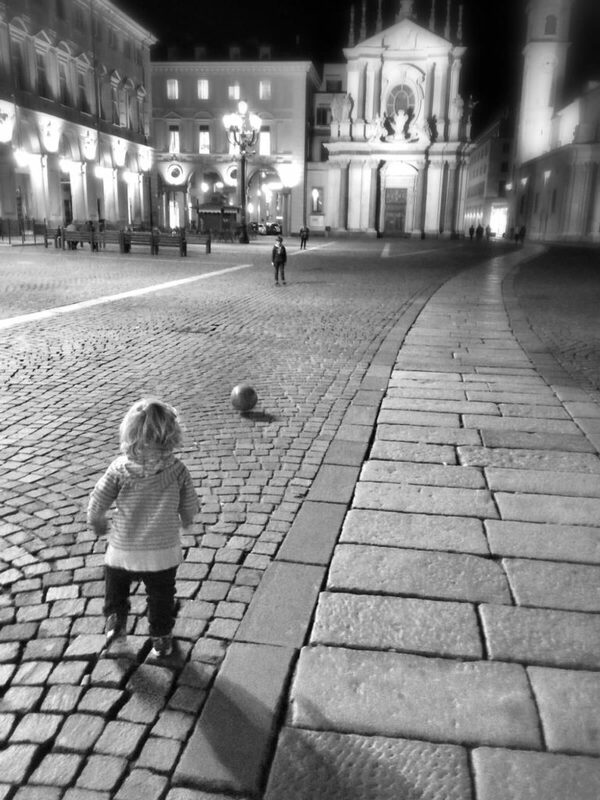 And the stereotype about Italians loving children is absolutely true. Before we had even ordered, the waitress had come out with about five different types of cured meats for the kids to try “because they look so hungry”, exclaiming che carino as the youngest spit out a particularly spicy piece of salami into my hand. We ordered pasta – sage and veal ravioli, tagliatelle with a mushroom ragu, gnocchi alla fonduta, agnolotti and spaghetti with a simple tomato sauce. Sixty minutes and five empty plates of pasta later we were finished, more prepared for a long nap than a five hour drive. 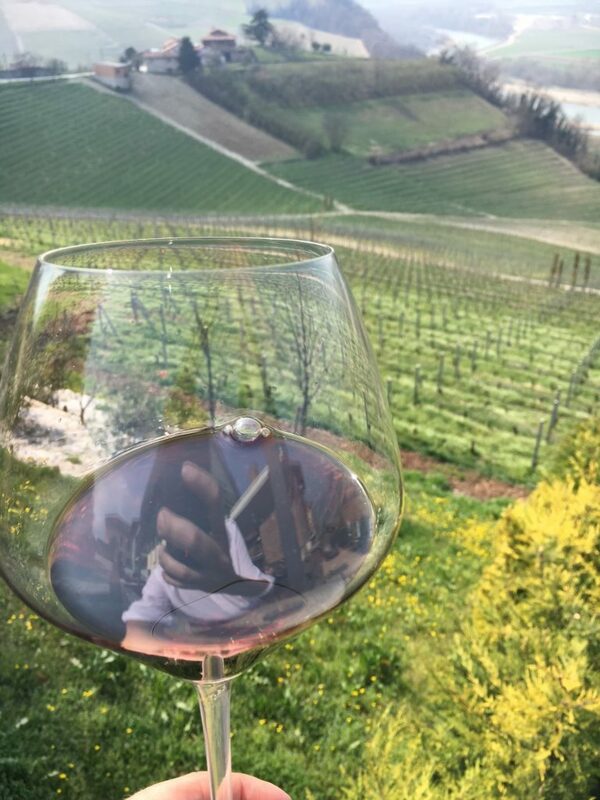 A had the obligatory, post-lunch espresso to wake me up and roughly an hour later we crossed into Lombardy – our time in Piedmont had been brief, but Barbaresco had turned out to be a success. TURIN: The capital of Piedmont. Wide streets and large pedestrian-only piazzas ringed by cafés define the city of Turin. A fun walking city with numerous casual, kid-friendly dining options. Don’t miss aperitvo: an Italian-style happy hour where a cocktail will cost €8, but all the food, which is simple but typically excellent, is free. Recommendations: Caffe Torino – a great place to take your morning coffee. Gelateria La Romana – reputedly the best gelato in Turin. ALBA: Any time of year Alba is a nice destination, but try and time your visit with the Alba white truffle festival, which takes place during weekends in October and November. Recommendation: Vincafe – a casual wine bar with an extensive and reasonably priced wine list. Classic Italian dishes will please the kids as well.